There are many assumptions on the concept of God particle but somehow it is still not known to many people. So, here is an explanation of what is God particle in simple words to help in a better understanding of the concept. God particle was one of the most accomplished discoveries in physics. It helped in defining many of the theories of physics. 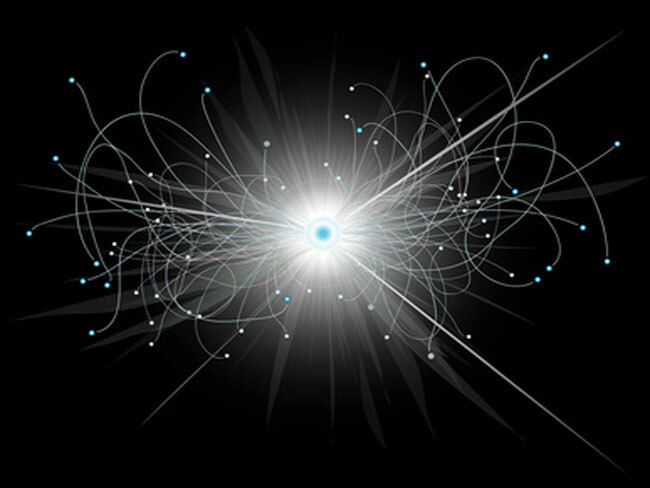 There are many particles in the universe like protons and neutrons which have mass while the others like photons don’t. God particle completed the story by being considered as the particle that provides mass to the matter. Despite the fact that many scientists believe that they have founded a huge portion of the universe with the information of God particle theory, it is seen that the information just stands for the smaller portion of the universe. There are still many facts and information to be discovered regarding the leading mass in the universe. It is obvious for most of the people to believe that the particle has something to do with God because of its name, but nothing is like that. Then why is it called the God particle? It got its name when in 90’s early years; Leon Lederman wrote a book on this matter and named it as God particle which couldn’t be named as Goddamn Particle. The attention that this name received made it extremely popular in the entire world to be known by the same name. The well-known Indian mathematician and physicist, Satyendra Nath Bose worked with Albert Einstein in the 1920’s. It was then when the two masterminds worked together to come up with the concept. The name Higgs boson God particle was given to appreciate the contribution of the mastermind towards his work in the matter. Though Satyendra was not a doctorate holder and neither was he awarded any Nobel Prize for his contribution. The initial attempt of Peter Higgs to write a paper about the Higgs theory was rejected by a well-known physicist, Yoichiro Nambu, on the facts that it missed some of the essential parts. This rejection indeed helped Peter Higgs to revise the paper and come up with a better version of the paper which was gradually accepted and published. No doubt, the discovery of Higgs particle is seen to be a great achievement and is expected to solve many of the aspects of the universe but still, the discovery of the particle would not help in the completion of standard particle theory. There are many other information and discoveries needed for the completion.